Katharine Beutner grew up in Lancaster, Pennsylvania. 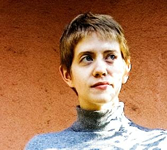 She earned a BA in classical studies from Smith College in 2003, and an MA in creative writing at the University of Texas at Austin, where she is a PhD student in eighteenth-century British literature. Her work has appeared in Lady Churchill’s Rosebud Wristlet. 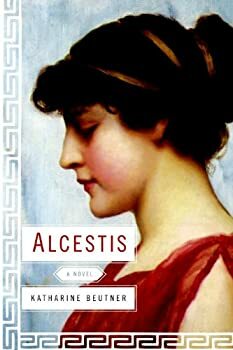 Alcestis is her first novel. Learn more at Katharine Beutner’s blog. The ancient Greeks held up Alcestis as a model of wifely devotion. Her husband, Admetus, was spared from death on the condition that someone else die in his place. When Admetus’ relatives and friends refused, Alcestis volunteered herself and made the journey to the underworld, but was later rescued by Heracles. In her debut novel, a poignant literary fantasy, Katharine Beutner fleshes out the figure of Alcestis, and gives her a backstory that helps explain her willingness to sacrifice herself.